Why Clean Slate Landscape & Property Management, LLC For Landscape Design? Beauty - Making one’s yard and outdoor areas into a unique focal point of the neighborhood is a goal of many homeowners. With the help of landscape design professionals like Clean Slate Landscape & Property Management, LLC, this feat is easily accomplished. In the landscape design business since 2000, Clean Slate Landscape & Property Management, LLC is ready to complete your landscape design project for you. The landscape design service has many different parts to it, from the initial consultation to the planning portion to the project construction. 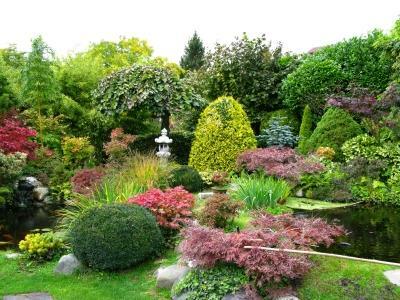 Whether you want a simple landscape design or an outdoor greenery wonderland, our staff will produce the right results. Professional Design – When you choose Clean Slate Landscape & Property Management, LLC for your landscape design needs you are getting true professionals. We believe that planning is essential with many facets of landscaping but especially landscape design. For this reason, Clean Slate Landscape & Property Management, LLC goes through various steps to ensure that you get exactly what you want in the way of landscape design and that each stage of the planning is carried out accordingly. Our staff will work with you to produce the results you desire when it comes to your landscape design visions. Competitive Pricing – Landscape design doesn’t have to cost a fortune. Clean Slate Landscape & Property Management, LLC offers high quality services at affordable prices. Whether you need a simple design which includes planting shrubs and trees or a more inclusive landscape design filled with walkways, lighting and fish pond installation, Clean Slate Landscape & Property Management, LLC can help. Landscape designs can be created to fit any budget. Now is the perfect time to spruce up your yard. Let a professional Clean Slate Landscape & Property Management, LLC landscape design make your landscape dreams a reality. Contact us today at (508) 669-7959 for a free consultation.